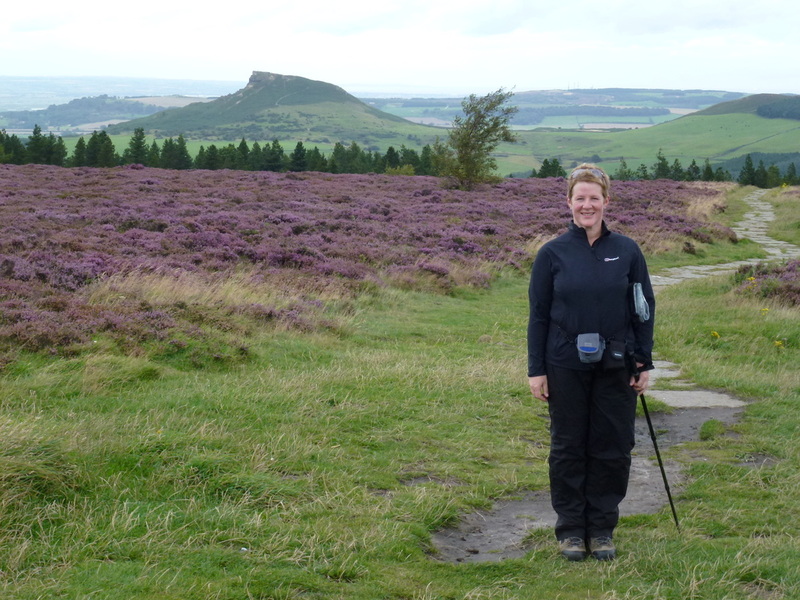 We were staying in a cottage in Swainby for a couple of weeks in the super walking area of the North Yorkshire Moors. 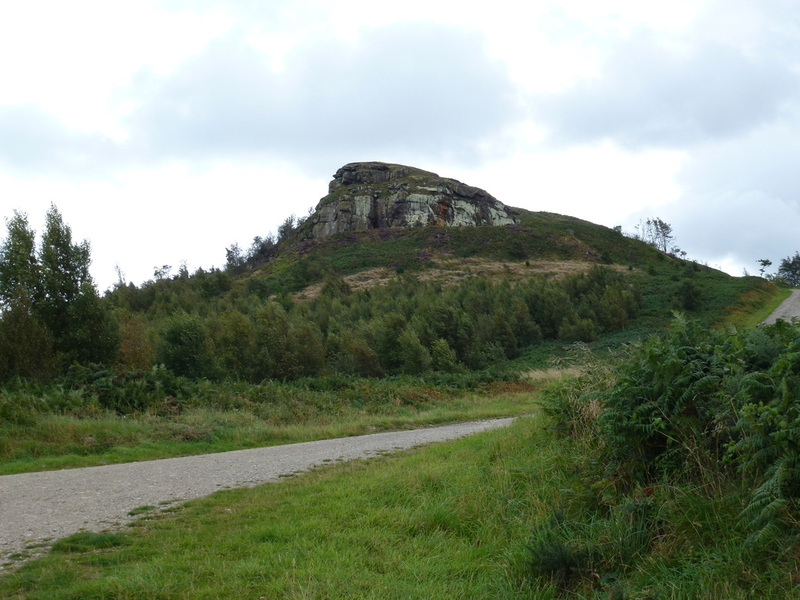 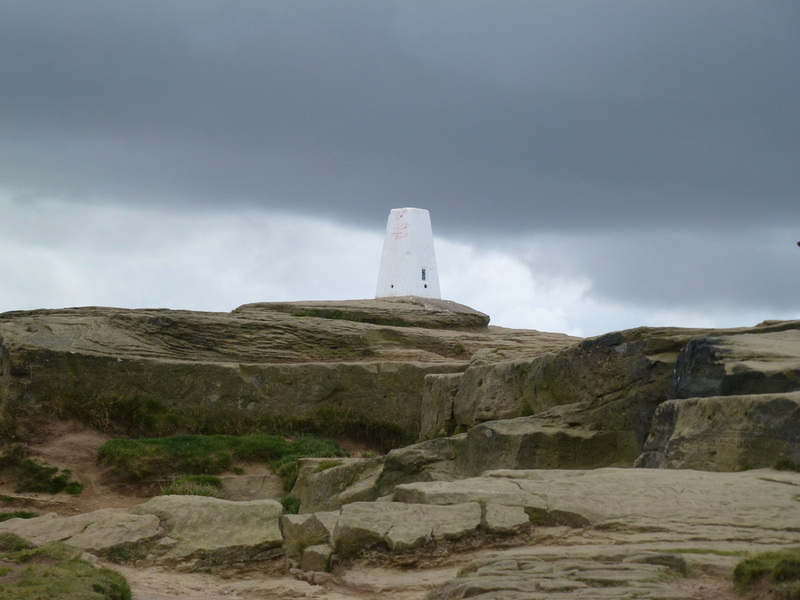 We decided to combine two walks into one and therefore the intention was to climb Roseberry Topping and then make our way via Hutton Village to the Cook Monument on Easby Moor. 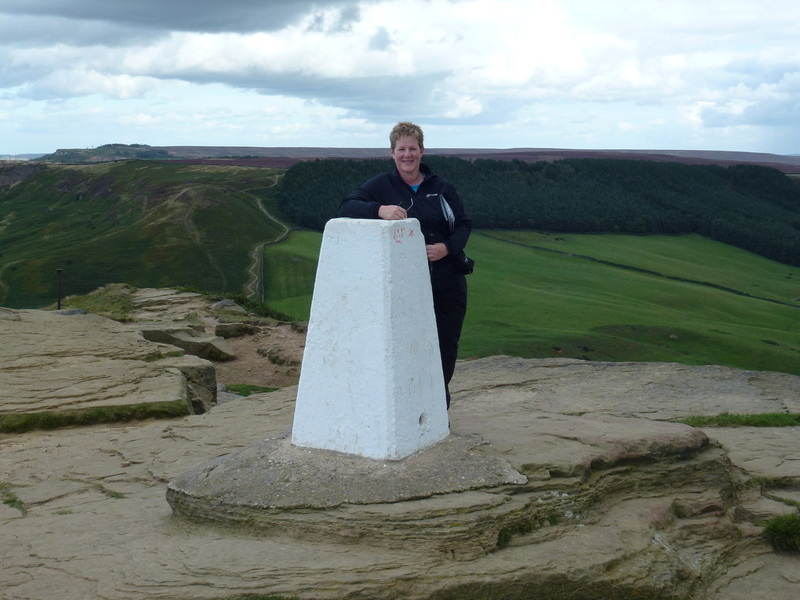 Both of these landmarks are fairly close to each other but this walk made the most of both by taking in some of Gisborough Moor too. 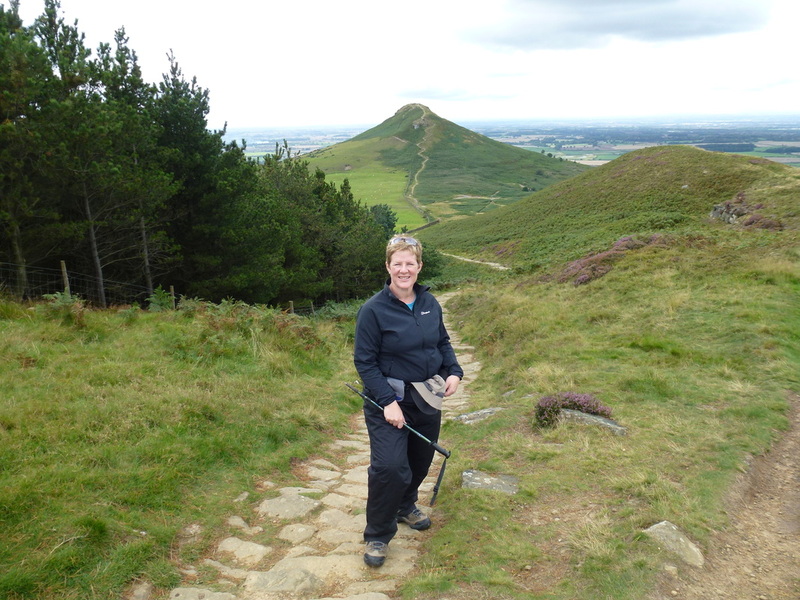 The walk starts at Gribdale Gate near Great Ayton where there is a very large car parking area. 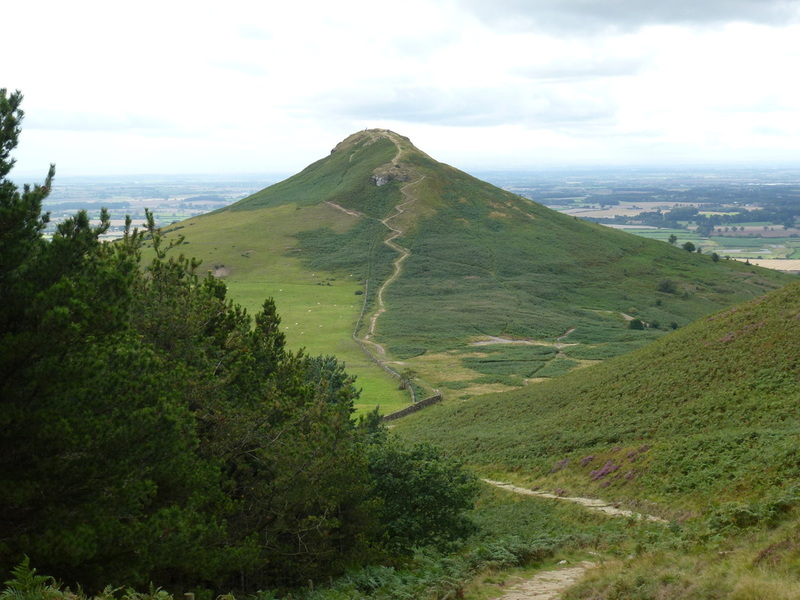 From the car park, the route ascends to the eastern tip of Slacks Wood and moves along the edge of the wood from where the route of ascent to the Summit of Roseberry Topping is never in doubt. 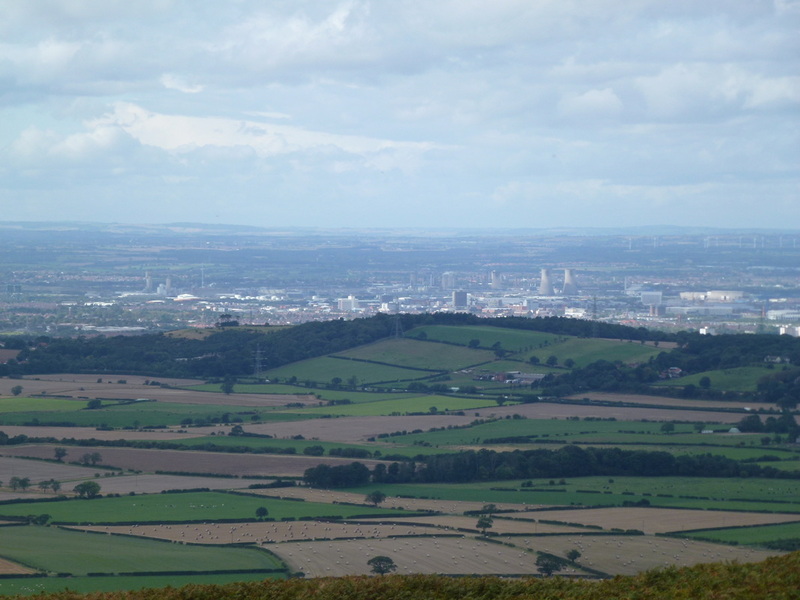 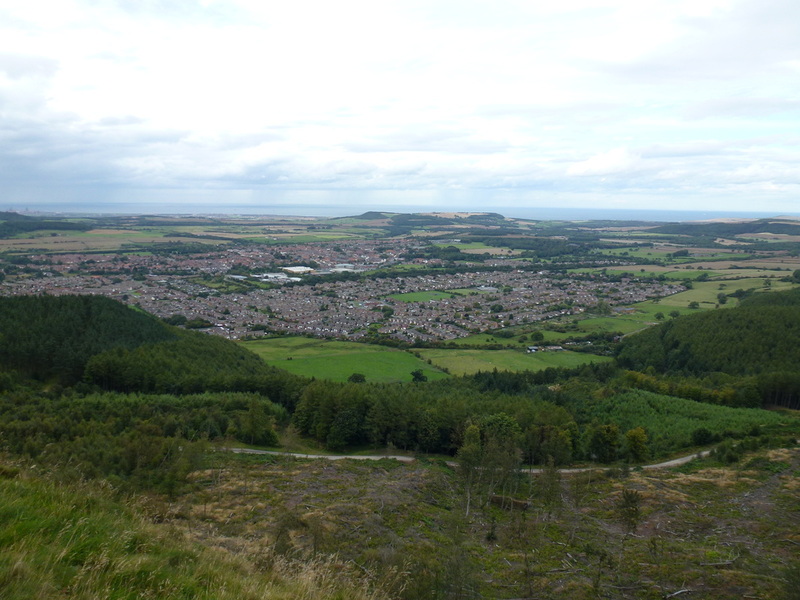 From the Summit there are great views over the Vale of Mowbray and the North Yorkshire Moors. 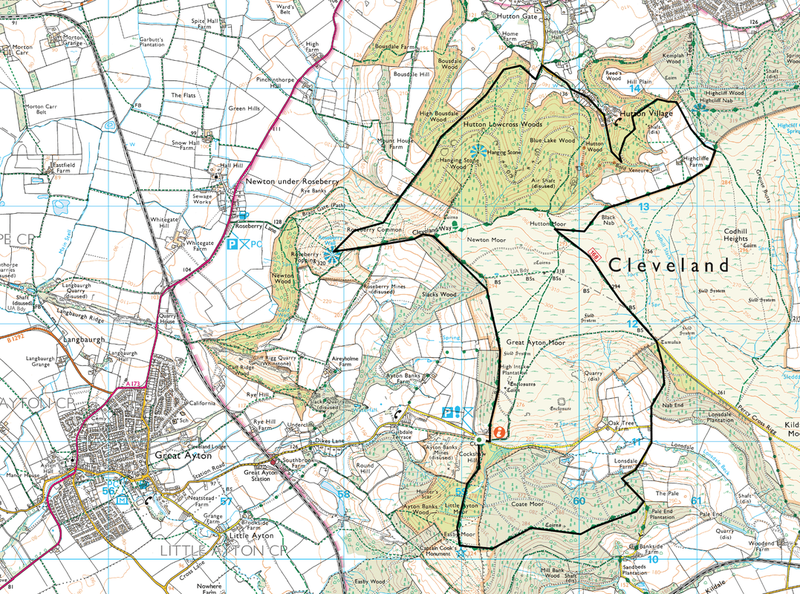 Making our way down we then took the good path through Hutton Lowcross Woods to emerge in Hutton village. 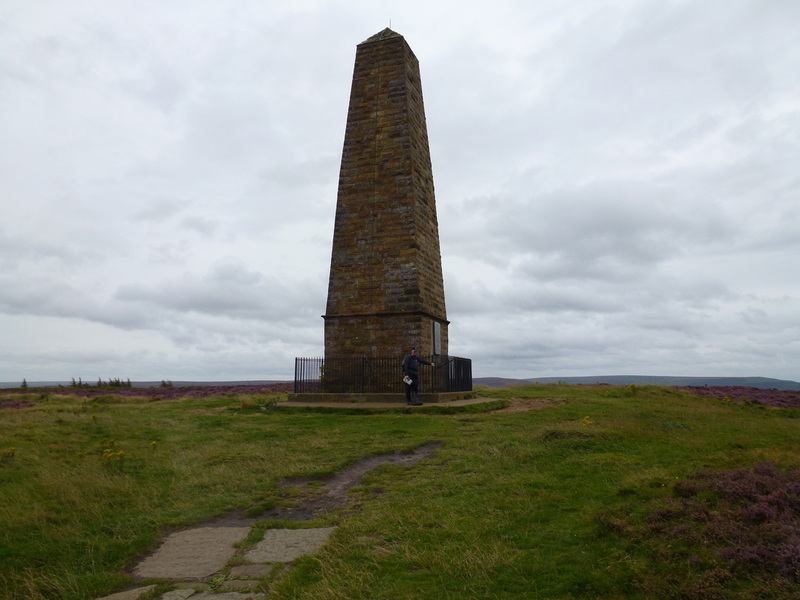 Once through the village the route makes its way up to Highcliffe Nab before dropping down to make the long trek in to the top of Easby Moor to the impressive column of the Cook Monument. 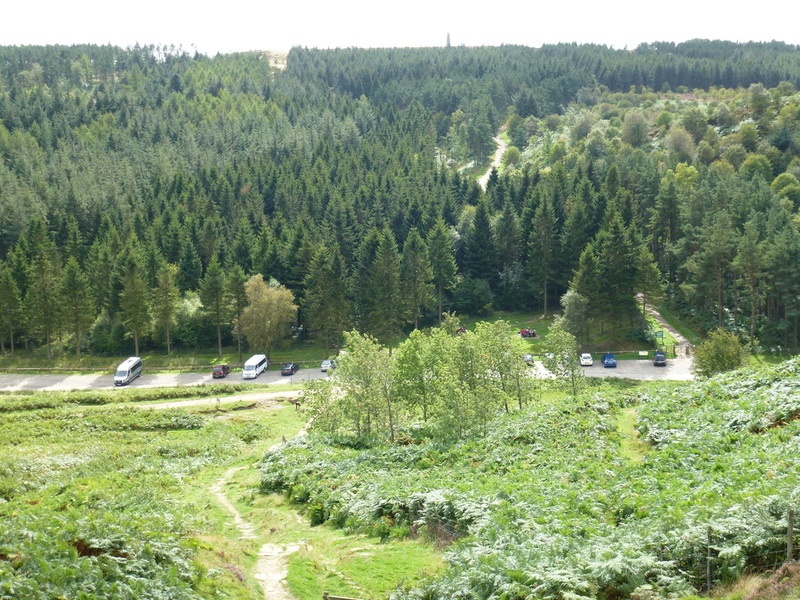 From the monument there are again good views and the path makes its way gently back down to the car park at Gribdale Gate.